Once client data has been properly transferred into the firm’s possession, the next challenge is to store, secure, and manage it. As GBs or TBs of client data add up, law firms are forced to purchase more (relatively) expensive data storage to keep up with the demand, which causes them to hire additional IT resources. Additionally, law firms must spend more on data security because they have become a major target of hackers due to the types of company sensitive data included in litigation these days. Managing the rising volumes of client data can seem like a near impossible task – storing it by case, ensuring correct access rights and security, applying and managing retention/disposition policies, and auditing users for compliance. To complicate matters, some clients now expect their law firms to keep their data indefinitely - many firms had already adopted the practice, keeping client data after the litigation has been concluded in case the lawsuit is appealed or related cases emerge sometime in the future. Those law firms that actively manage incoming client data centrally have utilized their document management system to manage client data sets. However, document management systems are complex and expensive, and with the ever increasing client data volumes, very time consuming and expensive to use effectively. A few firms have recognized the costs savings that cloud storage can offer but many have raised questions about the appropriateness of storing client data in the cloud. The ABA looked into the question of law firm cloud use. They created a chart of the opinions of the state bar associations that have studied the ethical questions surrounding use of the cloud for data storage. To date, no state has said “no.” The other worry is that law firms believe their on premise systems are more secure than cloud systems. That is not necessarily the truth anymore. 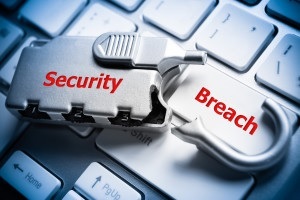 Please read this recent blog on law firm data security issues. Some law firms have looked at the cloud as a possible solution to their storage challenges but in many cases have found it too pricey and not really structured to fit law firm requirements. Most cloud storage offerings are priced by the user, and each user receives an allotment of storage. For example, DropBox users get 1 TB of capacity for approximately $150 per year. The problem for law firms is that their storage challenges are centered on very large data sets not related to a specific user. Most cloud storage solutions only offer relatively ‘dumb’ storage paradigm, much like an enterprise file system with no pre-indexing or data management, making finding specific content very time consuming. For example, a cloud storage provider that specifically targets law firms charges $179 per TB per month (per their website) with little or no software features beneficial to law firms. So what do law firms need to cost-effectively store their growing client data volumes? They need a proven low cost cloud storage platform (like Microsoft Azure) combined with state of the art cloud management software that allows them to securely store, build custom indexes, search, review, tag, export, and manage numerous matters at the same time. 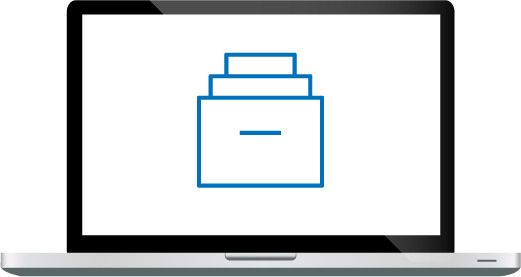 Archive2Azure is much more than just an low cost ‘dumb’ online storage service. It is a comprehensive, cloud-based compliance storage platform where you can store and manage all forms of client (and firm) electronic data, including email, journal, PST, video, digital pictures, audio, and text documents. Archive2Azure is based on Microsoft Azure low-cost ‘cool’ cloud computing platform. It is the industry’s first compliance storage solution that harnesses the power of the cloud with powerful tools to collect, search and securely manage compliance data. With Archive2Azure, your firm can scale your storage easily, providing unlimited scalability for future growth. As your firm adds new clients, your storage can grow instantly. If you no longer need the additional storage, you can also reduce your storage requirement just as quickly. The Archive2Azure leverages Microsoft Azure low-cost ‘cool’ storage as an alternative to expensive on premise enterprise storage. Azure costs as little as $0.02 per GB per month and eliminates all the management, power, and cooling costs of traditional on premise storage. 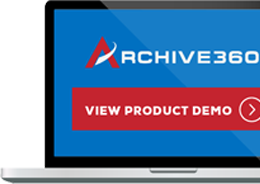 Archive2Azure importantly provides automated retention, indexing on demand, encryption, search, review, and production – all important components of a legally compliant law firm storage solution. Given the clear cost advantages of the Azure cloud, it’s no surprise law firms are looking to a cloud-based solution like Archive2Azure for client data management and storage.